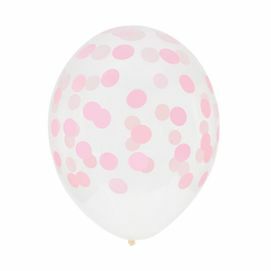 5 printed confetti balloons for a themed birthday party! Perfect for any little boy or girl's party but also for a birthday, a picnic, a wedding, a baby shower, a christening or a family event. Warning: Balloon may burst if over-inflated. The balloons are latex and therefore are completely biodegradable.